Zoe Bassett is in her third year studying psychology at Exeter University. She carried out a market research project and built a website for a social enterprise startup during her internship in Bali. I joined the program because wanted to dive into the world of entrepreneurship and startups while being able to travel at the same time. The social enterprise I’m working with is creating a new initiative to promote sustainable tourism while protecting communities in Bali. Being in a co-working space means you get to network with people doing all kinds of different things. I really enjoy hearing what other people are working on and the different skills they have. One of the things I love about the co-working space (Dojo) is the the skill sharing board whereby people post skills they can offer or things they’re looking for. It’s something you wouldn’t necessarily get in a normal working environment. Working in a tropical country is obviously different and so is your interaction with co-workers. At university, everyone is kind of similar to you, whereas here you get to meet people from a number of diverse backgrounds and cultures. Since I’ve been here, I’ve attended talks on everything from UX to lead generation, which is helpful for my future career or if I ever decide to start my own company. Interning out here has changed the way I look at work because it has given me an opportunity to experience what it’s like to work remotely whilst living abroad. Not seeing your boss every day means you have to take a lot of initiative, which is refreshing because I feel sometimes you’re spoonfed in an internship environment. Living and working abroad is also really different in terms of mixing an outdoor lifestyle with work. Instead of getting on the tube before and after work, people go surfing. 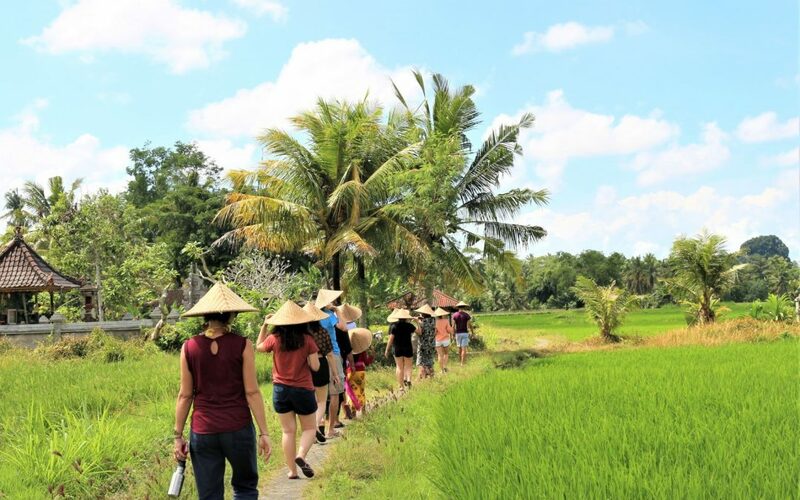 All in all, interning in Bali with Start Me Up has opened my eyes to not only a range of skills and occupations, but also a new lifestyle – the digital nomad.